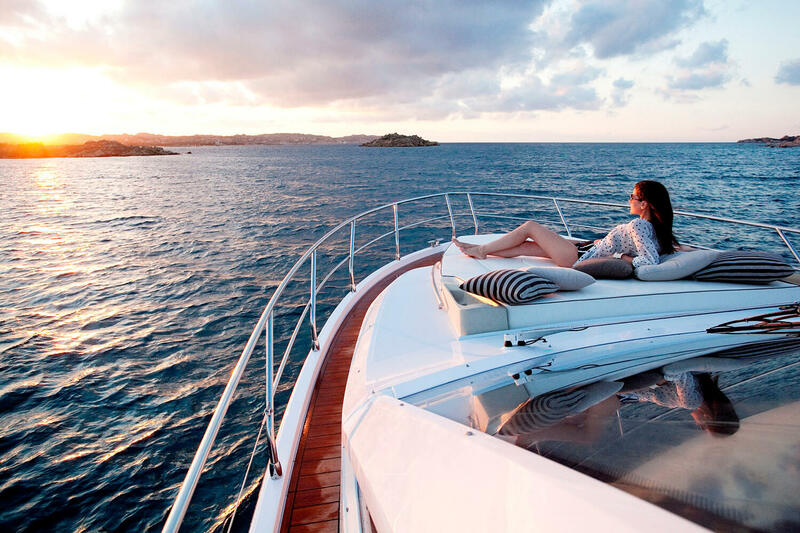 Montenegro is known as the “Pearl of the Mediterranean” and is the perfect destination for luxury yacht charters. The area has rugged mountains, tranquil lakes, rushing rivers and the most amazing waterfalls. It’s now known as the elite destination for superyachts with many facilities in port. Sveti Stefan, a lovely island close by, has miles of beaches, quiet coves and secluded bays off the Bay of Kotor. Hotels and amenities are being developed to very high standards in this part of Montenegro. This Balkan country is also known for its many ancient churches, fortified towns and national park which is home to wolves as well as bears. Take a trip to the 1,300m deep Tara River Canyon while passing limestone peaks and glacial lakes for an interesting day out. Moor your yacht in Porto Montenegro and head for the glass-like Bay of Kotor to have lunch at Bigova Bay. You could take a tender trip to the jetty and enjoy a swim in the clear blue waters. Enjoy a delicious lunch of fresh fish, mussels or lobster prepared in the traditional Montenegro way at Konoba Grispolis. The owners of this delightful restaurant have been fishermen for many years so know when they have a good catch. You could then take a leisurely stroll along the waterfront then set sail for a night stopover in Budva. Pass Jaz Beach is where Madonna and the Rolling Stones have played in concerts. After enjoying an exotic cocktail on board why not dine in one of the many traditional restaurants in town? Try Konoba Langust, Demizana or Dona Kod Nikole then after dinner, party the night away. Day 2 you could just relax in one of Budva’s cafes or bars enjoying a coffee and a pastry. There’s also the option to visit Ulcinj which is close to the Albanian border then on to the island of Ada Bojana. Next head for Sveti Stefan for a swim or do a little sunbathing on the sandy beaches before trying an aperitif at the Aman Resort’s Villa Milocer. It’s then back on board your superyacht to sail to Kotor or explore the Bay of Kotor. Meander along the streets, alleys and fortifications of Kotor while taking in the relaxing ambience. Enjoy a traditional meal in Scala Santa in the old town listening to live folk music. There are some superb views from the Hotel Cattaro’s Citadella Bar where you can chill out on comfy sofas on the open-air terrace. Work up an appetite by making an early start and visit the former royal capital of Cetinje as well as the Lovcen National Park. Driving along the ancient serpentine road to Cetinje from Kotor you’re sure to see dazzling views and the amazing charm of the town. Another breath-taking drive is on the way to Ivanova Korita. Just follow the road to Jezerski Vrh, walk up 500 steps to the Petar Petrovi-Njegos mausoleum which is on the narrow peak of Mount Lovcen for spectacular views of the surrounding countryside. The Croatian sculptor and architect, Ivan Mestrovi, designed this tribute to one of Montenegro’s most influential statesmen. Returning to the Bay of Kotor after a day of adventure, take lunch at the Conte Nautilus in Perast. See if you can spot Our Lady of the Rocks and learn more about her story. Get in touch with a crew member who will bring the tender for you. Re-join your superyacht and head back to Porto Montenegro. Here you can tell fellow passengers all about your exciting day over a drink or two.